If you are waiting for this Needle Impressions embroidered chiffon dresses 2016 for women then your entire wait is gone now! This collection is all available now. Just to make it sure that this collection is there in the unstitched patterns and cut and you have to stitch it on your own. 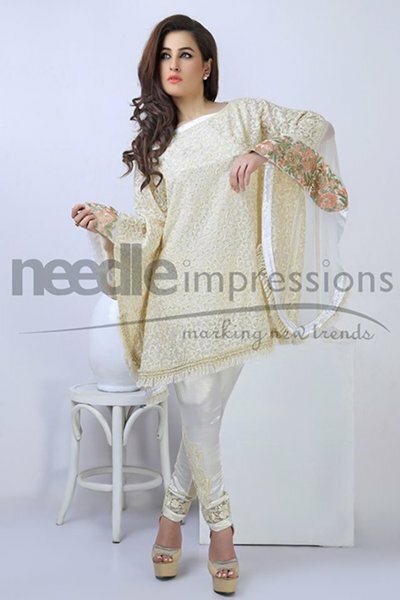 These embroidered chiffon cuts and hues are there in classy kinds of embroidered and embellished patterns. Mostly dark shades have been put up by this label. 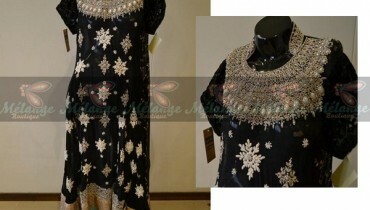 But at the same time, this label also consist of lighter in shade embroidered chiffon cuts and pieces. Mostly this embellishment and thread work is done on the front section of the shirts. You will also be having that cuts that have embroidery and thread work done on the collar section and too on the sleeves section. 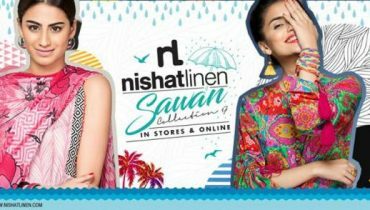 As summer season is all coming up and girls and women have been looking lighter kind of fabric, that is wht this label has come up with this chiffon fabric. By wearing these chiffon cuts and pieces, you will feel much comfortable in the hot summer time. Red, black, white, pink, grey and green are the shades that have been used by this Needle Impressions label. Just make a hit at the face book fan page of Needle Impressions, we have shared almost all of the pictures of this collection line. 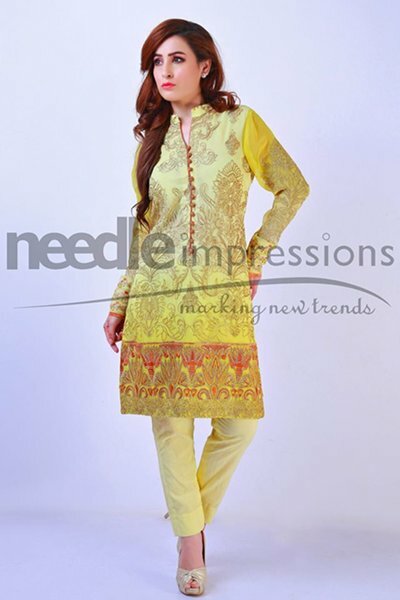 You will like all of these Needle Impressions embroidered chiffon dresses 2016. If more cuts and pieces will be showcased by this label, we will be updating you for sure. Just try out these most amazing one dresses and do give us your feedback. This label has lots more surprises for you so stay tuned with us.